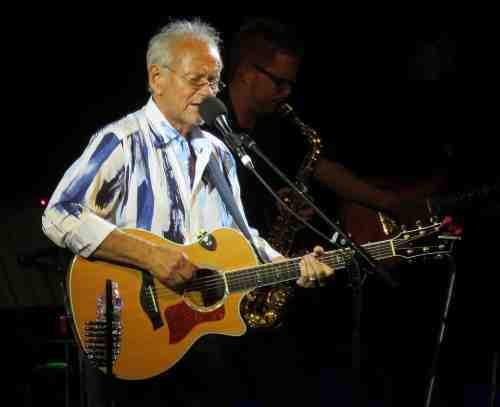 Two legendary figures took to the stage at Celebrity Theatre in Phoenix on Friday, Sept. 22; beloved folk rocker Jesse Colin Young and revered guitarist Martin Barre of Jethro Tull fame. The pair gave the audience plenty of chances to reminisce as they performed hits and favorites from throughout their respective careers. 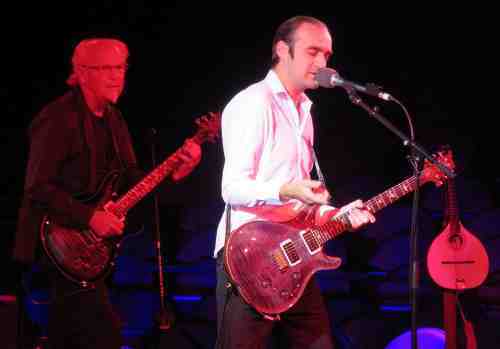 While Young and Barre are on a co-headlining tour, on this evening Young was the opening act. 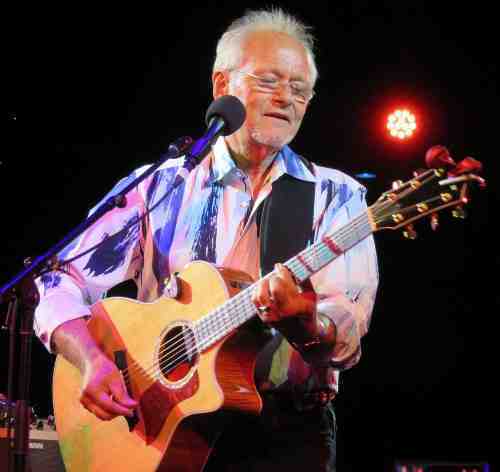 Working with a band featuring a guitarist, bass, keyboards and sax players, drummer and two female background singers, Young played acoustic guitar throughout the show and opened with one of his signature cuts, "Ridgetop." The set also included "Light Shine," which starts out mellow but ends up rocking, the introspective "Cast a Stone in the Water" and the ominous sounding "Before You Came" which featured a scorching solo from guitarist Aleif Hamdan. Young introduced the Marvin Gaye oldies "Mercy, Mercy Me" and "What's Going On" as "two songs for modern days" and also made another musical statement about current societal concerns with a take on his own "American Dream Suite: Sanctuary." 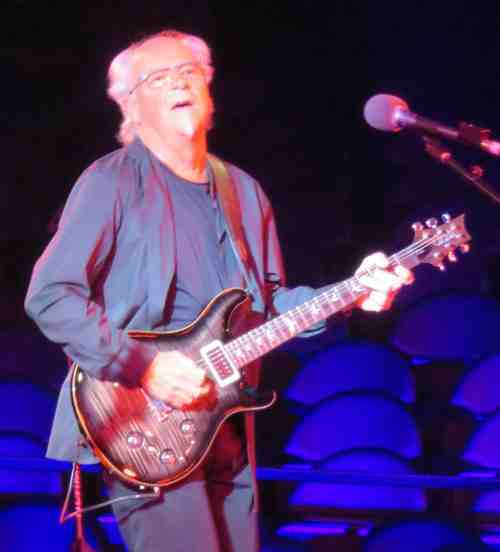 Young also hopped into the way back machine for "Get Together," the hit he had with the Youngbloods in the late '60s, saving another fan favorite, "Darkness, Darkness" for the encore. 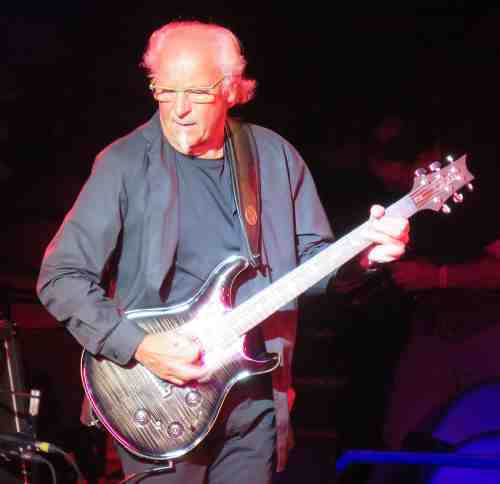 Martin Barre has a fairly extensive catalog of solo albums but for this show he led the Martin Barre Band through a set that mostly featured versions of Jethro Tull songs. Barre is not a vocalist, but band member Dan Crisp handles the vocals in such a way that he sounds a little like Tull singer Ian Anderson while completely making the songs his own, resulting in a great Tull-like experience for the audience. The set included Tull favorites "Minstrel in the Gallery," "Teacher," "Fat Man" and "A Song for Jeffrey" along with lesser-known tunes like "Hunting Girl," "Steel Monkey," "Love Story" and "Sealion," on which the animated Crisp was particularly entertaining with his gesticulation. Barre was also entertaining between songs as he chatted up the audience with stories about the Queen breaking wind, writing the song "Moment of Madness" while under the influence of "a runny brie" and explaining in depth the definition of "prock." Barre picked up the mandolin for a cover of the Robert Johnson chestnut "Cross Road Blues," indicating that he couldn't play the song on guitar. Other covers included two Beatles songs; "Eleanor Rigby" and "I Want You (She's so Heavy)," both of which were performed with arrangements that echoed the classic Jethro Tull sound. When Barre and company left the stage the audience was on its feet and loudly demanding an encore; the band obliged by returning for a spirited performance of Jethro Tull favorite "Locomotive Breath."